Surprisingly easy, but with an elegant presentation, waffles are one of my favorite breakfast foods I look forward to on the weekends. While I’ve always slightly favored waffles over pancakes, I think I burned myself out on the former and have not eaten or made waffles in probably over 2 years!! Friday night before going to bed, I had it in my mind I was going to make waffles on Saturday morning. Pinterest to the rescue because I didn’t have a homemade recipe on hand. Many times we’ll use a mix, but in reality, its almost just as easy to whip up fresh, homemade batter as opposed to the prepackaged stuff. This recipe is extremely simple, and I can almost guarantee you’ll already have all the ingredients. 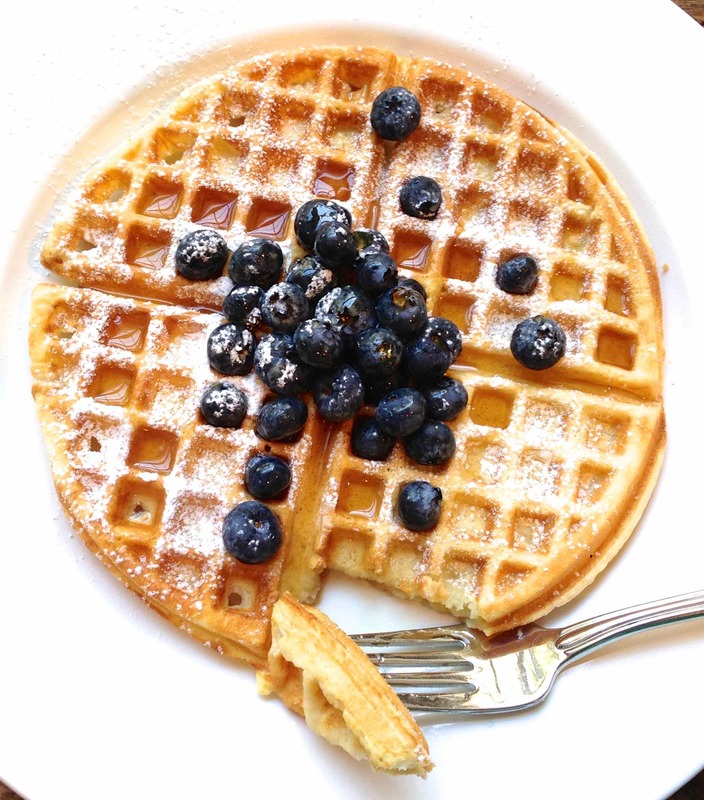 Compliments to Happy Hour Projects blog, these waffles will definitely be made on future Saturday mornings. Matt loved them as did I. With just 7 simple ingredients (eggs, milk, butter, sugar, vanilla, flour, and baking powder), you can whip up the batter in less than five minutes. 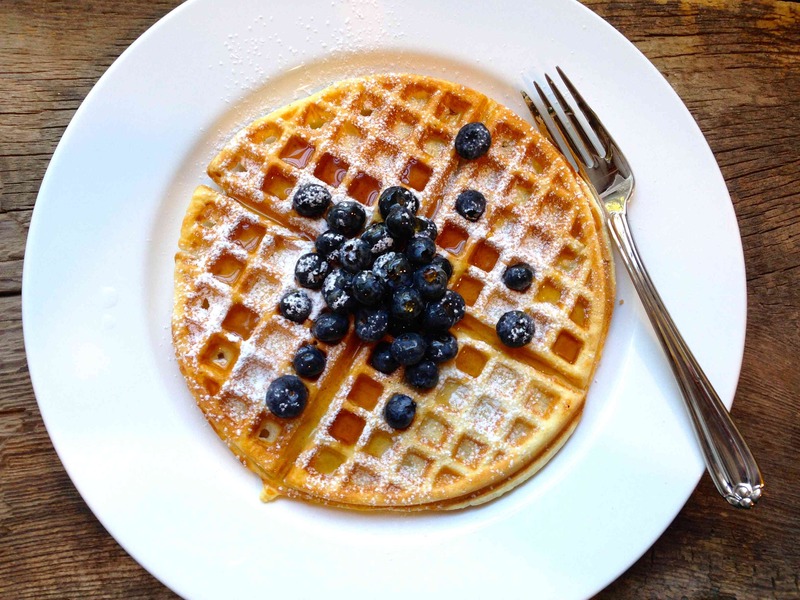 One word to the wise, the first waffle is usually a dud, so pour just a little batter in your waffle iron to test it out before pouring in the full amount. My first waffle was much softer and soggier than the subsequent waffles. The third waffle was perfect. It was golden brown, slightly crispy and had perfect edges. The same happens with I make pancakes. The first one is not usually as pretty as the rest of them. I guess you really have to get your iron hot. Enjoy the rest of your weekend. 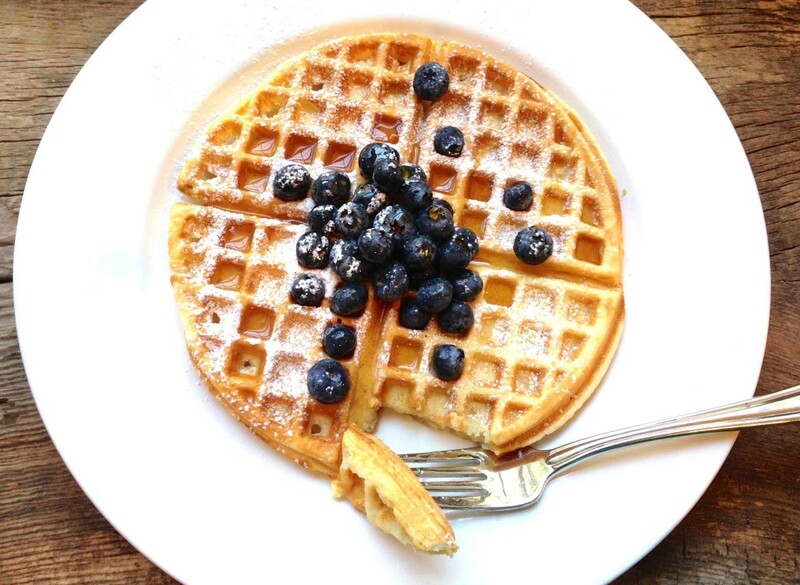 If you’re waking up just now, maybe these waffles are worthy enough for a Sunday brunch! Preheat your waffle iron and spray with nonstick cooking spray. Blend together eggs, milk, butter, sugar and vanilla. Sift together flour and baking powder, then stir into egg mixture. Pour onto the waffle iron and bake until done - this will vary depending on your iron. In our house, the green light starts to beep when the waffle is done. When the waffle is golden, slightly crisp, and lifts easily with a fork, it's ready.